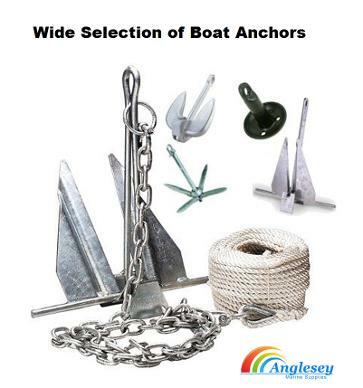 Anglesey Marine Supplies supply a wide range of Ready Made Boat Anchor Kits, Stainless Steel Boat Anchor Kit, Galvanized and Stainless Boat Anchor Chain and Quicklinks, Bow Shackles, Mooring Line, Rope, Mooring Stakes, Buoys. 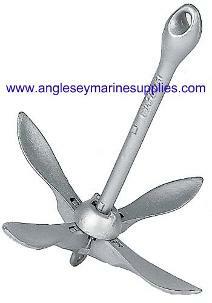 Full range of Boat Anchors available in different weights, Jetski and PWC grapnel anchors in stock. 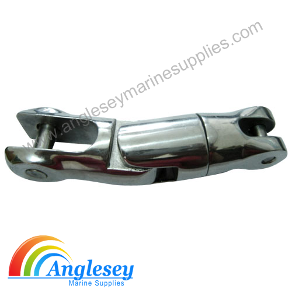 Also we sell Singular Boat Anchors, Boat Anchor ,Cleats, Bollards, Fairleads, Aluminium and Stainless Steel Bow Rollers. Chain Shackles, Swivels, Link. Please check through our stock. 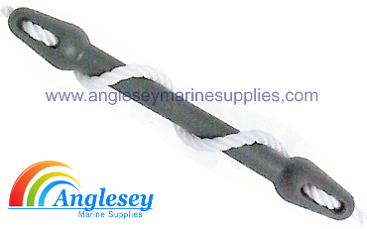 Wide range of boat anchor and boat anchors line, floating anchors and boat drag anchors in stock. Products in stock for boat mooring, mooring spring compensator. 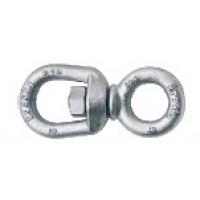 Boat mooring chain and galvanized chain swivels. Boat mooring stake and mooring pin. 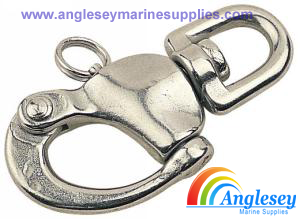 Stainless steel chain quicklinks, bow shackles and long d shackles. Boat mooring buoys supplied. 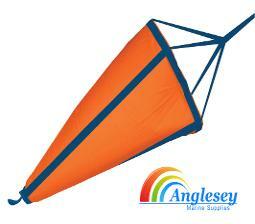 Anglesey Marine Supplies offer you 3 different sizes in our range of complete boat anchor kits. We supply 2kg, 4kg, 6kg kits that comprise of boat anchors, boat anchor chain, bow shackles and boat mooring rope. We also stock mooring pins and mooring stakes, boat anchors, floating anchors and drag anchors, chain swivels, stainless steel boat anchor kits, boat mooring rope and mooring lines. Danforth anchors, fishermans anchors, plough anchors and folding anchors. 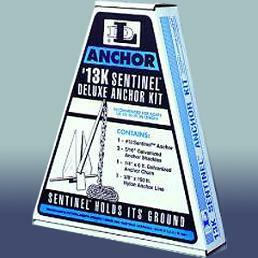 2kg Boat anchor kits. 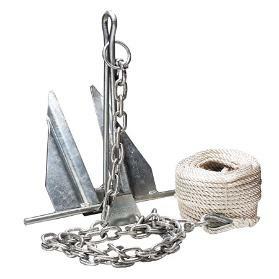 This boat anchors kit comes with a 2kg anchor, two metres of 6mm galvanized chain, three 6mm galvanized bow shackles and one 8mm x 30 metres of boat mooring rope/line with stainless steel thimble. The lowest prices you will find. 4kg Boat anchor kits. This kit comes with a 4kg danfor anchor, two metres of 6mm galvanised chain, three 6mm galvanized bow shackles and one 8mm x 30 metres of mooring rope/line with stainless steel thimble. 6kg boat anchor kits. 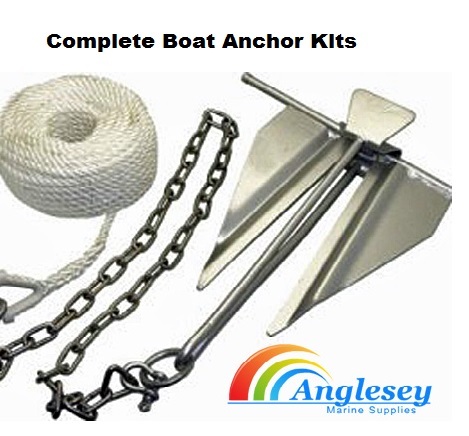 This kit comes with a 6kg danfor anchor, two metres of 8mm galvanized chain, three 8mm galvanized bow shackles and one 10mm x 30 metres of mooring rope/line with stainless steel thimble. 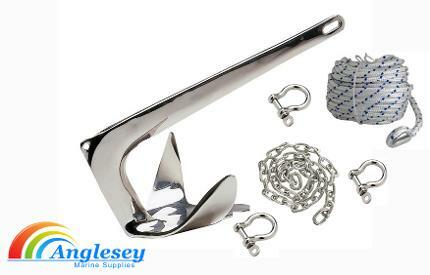 5kg stainless steel boat anchor kit. This kit comes with a 5kg stainless steel force anchor, two metres of 6mm stainless steel mooring chain, three 6mm stainless steel bow shackles and one 8mm x 30 metres of mooring rope/line with stainless steel thimble. 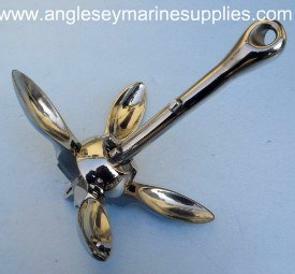 1.5kg Stainless steel folding spoon boat anchor. 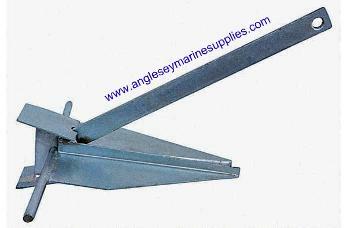 Galvanized grapnel spoon folding boat anchors available in weights from 1.5kg to 8kg. Please use drop bar for prices and choice. 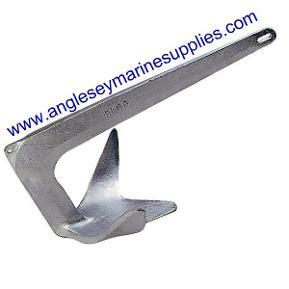 Galvanized danforth boat anchor, a budget low cost anchor available in all weights from 2kgs to 8kg (4.4lb to 17.64lb). 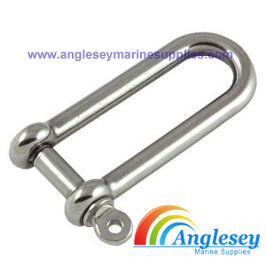 A quality stainless steel force boat anchor manufactured from 316 marine grade stainless steel. Available in weights 2.5kg, 5kg, 7.5kg. The Force Anchor is cast in a single piece and sets effortlessly and holds in a variety of seabeds. 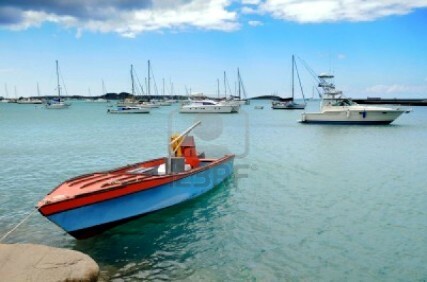 It stows easily on the bow roller of most boats. Suitable for boats up to approx 9m. 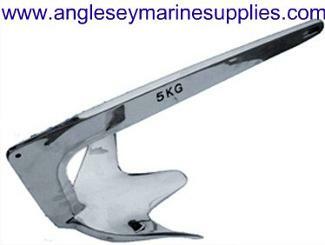 Galvanized force boat anchors available in a range of weights 2.5kg to 10kg. 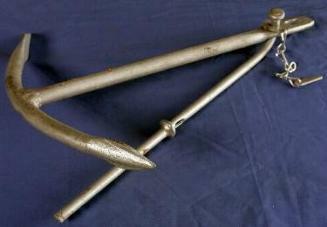 A good all round low cost anchor. 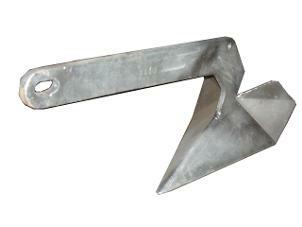 A cost effective galvanized plough boat anchor, fully galvanized, available in two sizes 5kg (11lb) and 7kg (15.43lb). 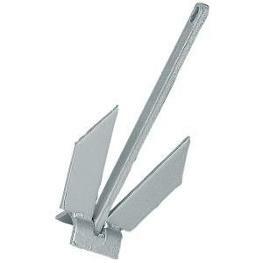 Galvanized fishermans boat anchor, very cost effective, two sizes available 5kg (11lb) and 10kg (22lb). Boat anchor retrieval system, simply place the anchor ring over the boat anchor line, lower the ball overboard and run a slow course 30-45 degrees away from the anchor. This will move the ball down to the anchor pulling it free. 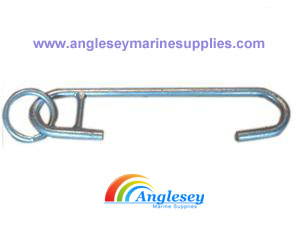 Galvanized grip boat anchor, available in a range of sizes from 2.5kg to 15kg. 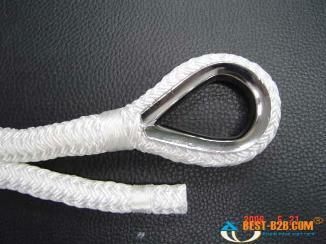 Boat drag anchor Floating anchor, made from pvc coated cloth with belt. 800mm x 600mm. Floating anchors are used for slowing boats down when in a drift. These are mainly used when fishing. Pre cut lengths of Boat anchor line with eye splice and thimble. Polyester 3 strand Boat Anchor line, boat mooring rope, available in 30 metre lengths, thicknesses available 8mm, 10mm, 12mm, 14mm. Please use drop bar for choice. Prices from £29.99 £26.99 plus postage. 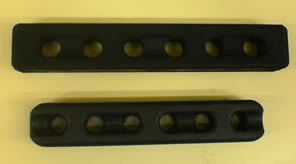 Rubber Boat mooring Spring compensator made from special rubber which is impervious to UV and salt water. Boat mooring spring compensator epdm to accept rope up to 20mm in diameter. Boat mooring spring compensator, accepts rope up to 20mm in diameter. Pre-cut lengths of 3 strand polyester boat mooring rope line with eye splice and thimble, comes ready cut in 7 metre lengths in various thicknesses, please use drop bar for choice. 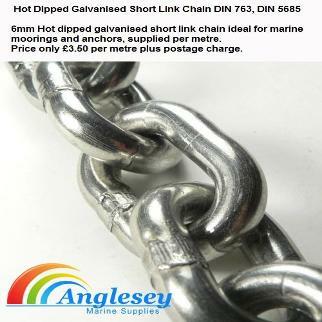 Hot dipped galvanized short link boat anchor chain ideal for marine moorings and anchors, supplied in bags in 15 metre lengths. Short link 316 Stainless Steel Boat Anchor chain, marine grade, ideal for Boat anchors and Boat moorings, din 763 / 766, Supplied in bags 2m long. Links available in either 6mm or 8mm diameter. Stainless steel chain swivel to ensure perfect sliding of the chain without the possibility of jamming in either the stem-head or chain pipe. Supplied with ‘’Allen’’ screws and key. Manufactured from 316 stainless steel to fit chain between 6mm and 14mm thick. Please use drop bar menu for choice. 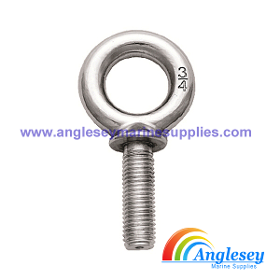 Marine grade 316 stainless steel eye bolt, Three sizes available. Firstly 6mm. dia. x 6Omm long thread. Secondly 8mm. dia. x 8Omm. long thread. Finally 10mm. dia. x 125mm. long thread. Ideal for boat transoms, boat trailers. 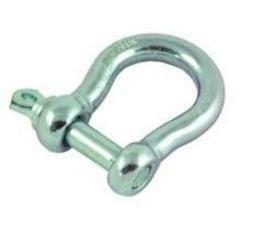 Drop forged galvanized chain swivels, ideal for moorings and anchors, please use drop menu for size choice. 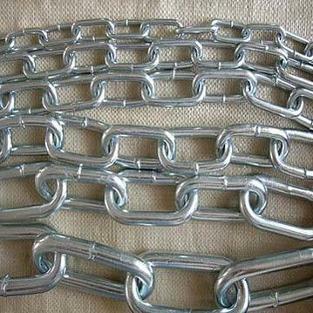 Galvanized steel chain links for the quick joining of chain, please use drop down menu for size choice. Hot dipped galvanized steel bow shackles, variety of sizes from 5mm, please use drop down menu for size choice. 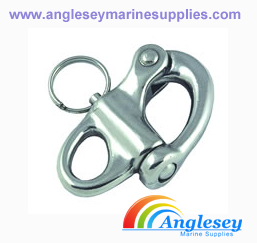 316 Marine grade stainless steel long d shackles, available in thickness's 4mm, 5mm, 6mm, 8mm. Stainless 316 swivel eye snap shackle available in two different sizes. Firstly we have 70mm long, breaking strain 1800kg. Secondly we have 87mm long, breaking strain 2800kg. Fixed eye stainless steel snap shackle, available in two different sizes. Firstly we have 52mm long, breaking strain 1800kg. Secondly 66mm long, breaking strain 2800kg. 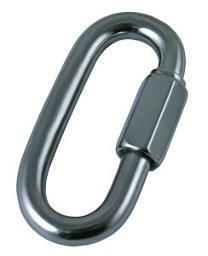 Stainless steel chain quicklinks, ideal for moorings, anchor systems and boat trailer safety chains. Canal boat mooring stake mooring pins. 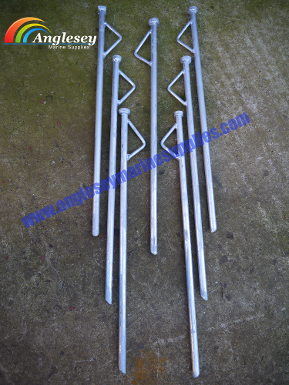 24" long mooring stakes,16mm solid round bar, fully galvanised with eyelet. Ferrule welded on top to prevent the mooring stake from mushrooming when hammering in. 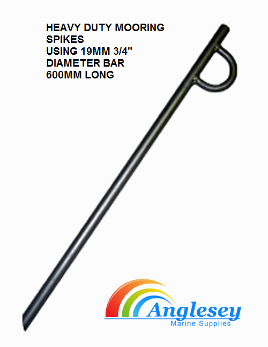 Heavy duty mooring stakes mooring spikes 19mm diameter solid round bar, fully galvanized, 600mm long with welded on eyelet. Canal boat mooring piling hook with ring for canal moorings. Buy multiples for better price. 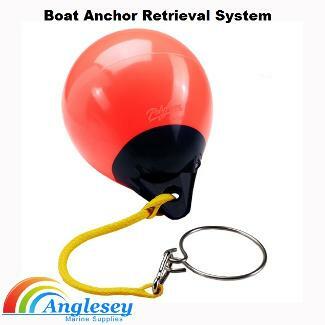 Medium Boat mooring buoys with easy grab handle and reinforced eye shackle. 300mm x 200mm. (13" x 8"). Available in Red or Orange.